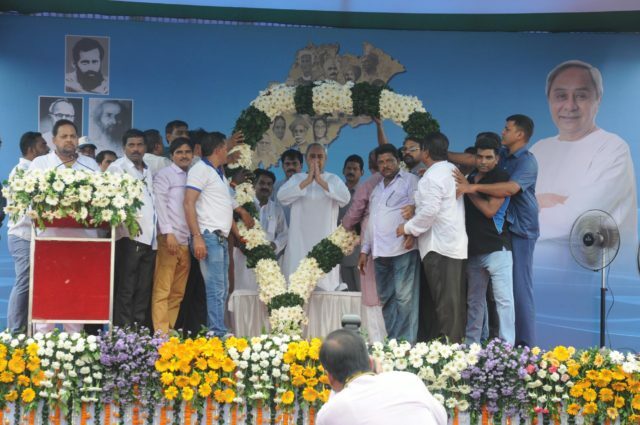 Bhubaneswar: People of the Satyabadi Assembly constituency on Monday greeted Chief Minister Naveen Patnaik with a big garland for the decision of setting up the Odia University in Satyabadi block of Puri district. 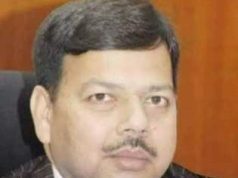 Members of different bodies like Senior Citizens’ Association, Lawyers’ Association, Youth Association, Dalit Association and Paika Akhada Association and Sarpanches under the leadership of local MLA Umakanta Samantray greeted Patnaik at a meeting near the Naveen Niwas. 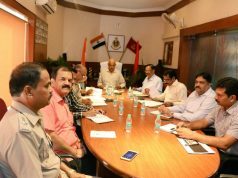 Among others, Minister Pradeep Maharathy, Brahmagiri MLA Sanjay Kumar Dasburma, Nimapara MLA Samir Ranjan Dash, Kakatpur MLA Surendra Sethi, Satyabadi Block Chairperson Sasmita Pradhan, Kanas block Chairman Ramesh Chandra Sethi, Puri Municipality Vice-Chairperson Diptirani Swain, members Dhruba Das, Prahlad Bhaturai, Chandan Ray, Nilamani Sethi and Nirmala Sethi were present.